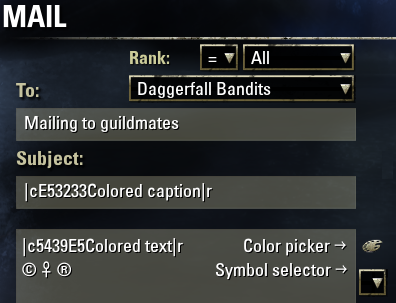 - Advanced chat with Timestamps, Player levels, Alliance/Rank/Class icons, sounds, etc. The problem has been solved - I simply deleted the addon. Thank you for this nice Addon. Unfortunately I can not see any Misc-Settings to change, they are not displayed in my game. Last edited by atwansol : 04/24/19 at 05:20 PM. target player - push on button - start chat with him (for example with enemy player in pvp). Last edited by Tiara Ra : 03/02/19 at 03:00 AM. U mean "Reply to whisper"? Not same. 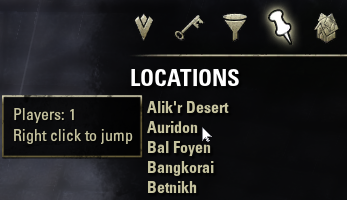 I need - target player - push on button - start chat with him (for example with enemy player in pvp). Last edited by Tiara Ra : 02/23/19 at 11:37 PM. Ok, i'll find how to fix it ! 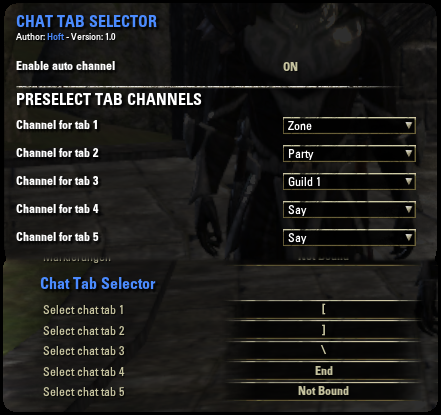 I've installed MiniMap by Fyrakin who also have some option menu and it has allowed me to access your Chat Tab Selector option menu. However : Bravo and thank for your usefull work ! EsoUI/Libraries/Globals/globalapi.lua:207: in function '(anonymous)' "
...and can't acces the option menu for this extension. However : Thank's for thoses addons ! Last edited by Tcheid'n : 02/21/19 at 09:14 AM. 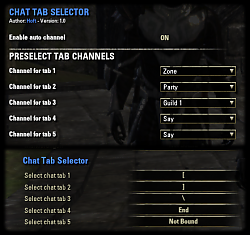 Does this addon work together with pChat? Think yes, but they are dooing the same. Last edited by Hoft : 09/26/18 at 09:12 PM. @Hoft, I see you also have the "skip reading books" feature, like mine. Question for you, have you ever observed any issues with duplicate book ID values or anything? I have not, but I figure it never hurts to get another confirmation on their stability. Most of add-on functions are disabled by default to allow the user to make his own choice.